Bizarro is brought to you today by Number Four Gives Me The Most Trouble. In the past year and a half that I've been living in Mexico and learning Spanish, it has occurred to me many times that the only difference between a language a bunch of meaningless noises made with the mouth is a number of people getting together to agree to use the same noise(s) in a given situation. And once that is accomplished, those same folks agree on what sounds or concepts certain squiggles represent and they've got written language. And we do all of that without thinking about it. Even as I write this, it astounds me how our brains do it. Finally, the more scientists learn about communication among other species, the more we see that many of them have far more complex methods than we've previously understood. Even trees and other types of plants communicate via chemicals. What a weird place this earth is. Which makes it all the more painful that so many politicians are okay with destroying it so they can make more money and buy more stuff. Recently, when Wayno and I were out on one of our daily walks looking for cartoon ideas, we came upon some well-labeled quicksand with some deflated balloon rubber on the ground next to the warning sign and a tiny hat sitting atop the quicksand. Wayno put the above scenario together and jotted it down for a cartoon. I, however, assumed it was not a balloon but a condom left by a tiny couple who accidentally rolled into the quicksand in the heat of passionate nakey-fun. But we both agreed that my version as a cartoon would likely be censored by most of our client newspapers, so we went with his story. This is just one of several reasons that nerds should steer clear of goth chicks. 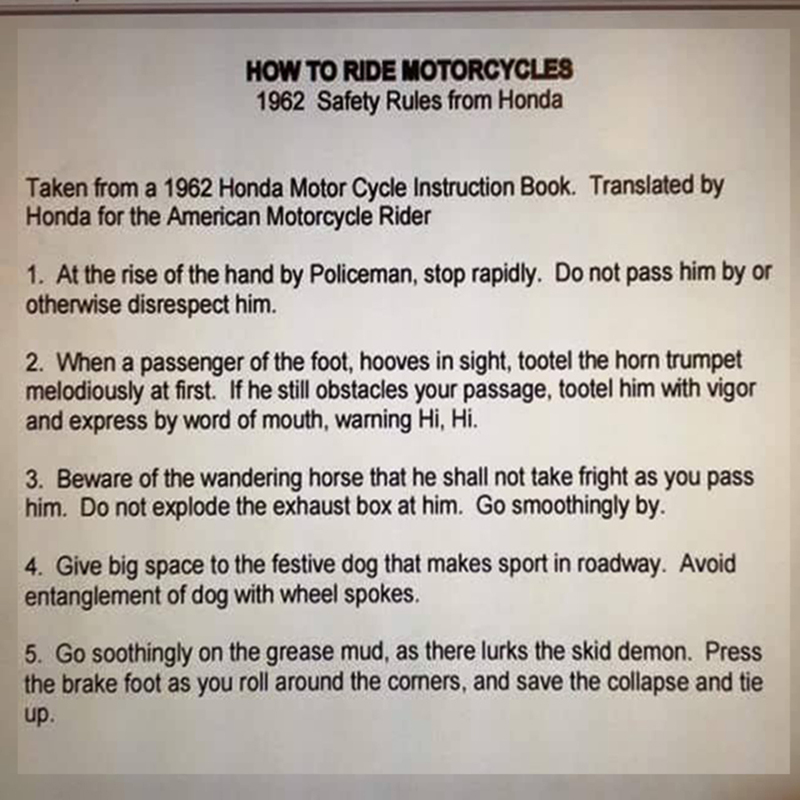 On another topic, if voodoo worked as advertised what would it feel like to bite your own head? This process is a little messier if you’re addicted to eggs. "Is that a yolk patch bleeding through your shirt?" 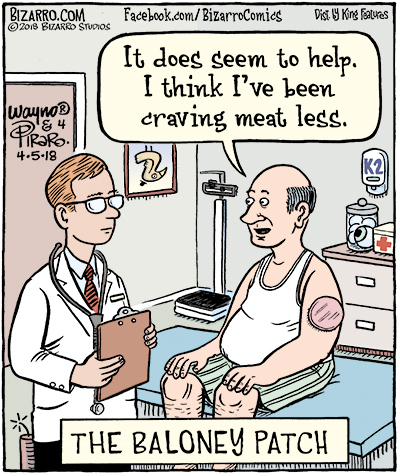 Ask your doctor if the Baloney Patch® ($654.98 per three-slice treatment program from Pfizer) is right for you. My driving has made police officers cry before but for somewhat different reasons.